You see, SiteGround is one of those hosting companies that’s got the best of both worlds. It’s affordable, but unlike some other down-in-the-gutters affordable hosting companies, SiteGround [affiliate] is actually a great company that not only has some of the best, state-of-the-art features but is also generous to its customers. I know a ton of you are thinking of starting a new blog. And one of the things that a lot of new bloggers worry about is the blog hosting company. After all, there are so many options! How do you choose one over the other? If you ask me, I’d tell you that SiteGround is, by far, the best WordPress hosting company, no questions asked! But a blog is a commitment, so, I want to give you my top 11 reasons for choosing this awesome blog hosting company. I want you to feel reassured that you’ve made the right decision by signing up with SiteGround. 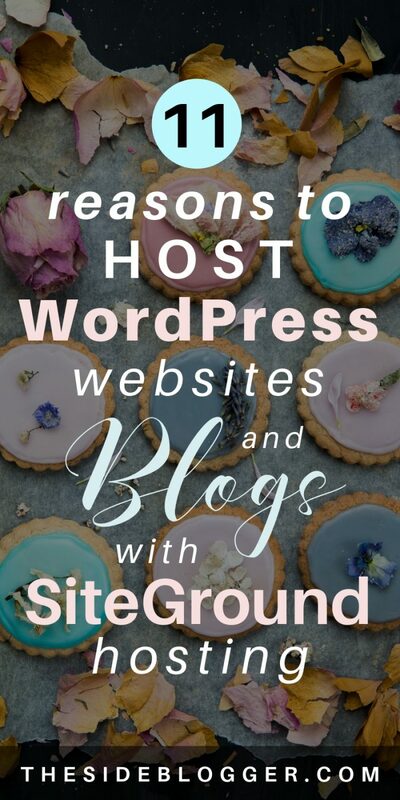 Below you’ll find a list of perks, only a few of many, that come with hosting your WordPress blog with SiteGround [affiliate]. But before you go any further, I want to give a little spoiler. You see, most newbie bloggers are worried about a couple of things: pricing (because hey, you’re not making money yet! Of course, you want to be careful about how much you’re spending) and customer service (if you’re not WordPress savvy, this is important). I’m happy to say that SiteGround is one of the most affordable (like, it’s crazy cheap for first-time customers!) WordPress hosting companies with ABSOLUTELY, NO-QUESTIONS-ASKED, THE BEST customer service EVER! Now that that’s out of the way, let’s look at 11 of my personal favorite reasons I love SiteGround and recommend it to all WordPress users. Switching from a different hosting company? Guess what? SiteGround GrowBig plan and higher tier plans come with one free professional website transfer. As int, SiteGround tech support will do the job for you. Have more than one site? You can use SiteGround’s in-house developed plugin for moving your WordPress sites. For more information on how to transfer sites, check out their tutorial on transferring WordPress websites to SiteGround from another hosting company. With my last hosting company, this is what gave me the final push to move away. You see, I think all hosting companies should have free SSL (Security Socket Layer) since it’s pretty much a must-have for any website these days, regardless of whether or not you sell something on your website. But some hosting companies STILL make you pay extra for SSL. NOT GOOD. Not in my books! SiteGround, as awesome as they are, of course, has made sure they have FREE SSL for ALL of their customers. It’s basically as simple as clicking a button to set it up. CDN, short for Content Delivery Network, is a technology that helps your site deliver content faster. Which means, it makes your site load faster. This technology also keeps your site more secure by analyzing legitimate traffic from malicious ones and then automatically blocking malicious and unwanted traffic. True, the basic CloudFlare CDN doesn’t do full protection, and CloudFlare itself is not the best CDN provider out there, but the thing is, when you’re just starting out, this is enough! You don’t really need heavier protection until you have, say, 100,000+ views per month or so. And also, I don’t know of any other hosting company with comparable pricing that has this feature. But SiteGround does! Setting up CloudFlare CDN is pretty much a no-brainer with SiteGround [affiliate]. All you have to do is navigate to the right place, and then click a button to activate. Yeah. That simple! Back in the days all shared hosting companies offered free daily backups, but lately, more and more companies are starting to charge extra for this. But SiteGround, bless them, still has it for free. Not only do they have free daily backups, but they also have free one-click restoration all of their hosting packages. Truth be told, this feature is a lifesaver! One time I had some technical hiccups and I needed to restore my site. I had forgotten that earlier I disabled the local backup plugin I have and the last backup was created over two weeks prior. Ughh. But then I remembered SiteGround keeps daily backups. Just one click and voila, site was back up and running in no time! What a relief to not have to lose two full week’s worth of content, hah! Ever have had this happen to you that you update a plugin only to have your site broken? This happens sometimes. The thing about WordPress, which I usually LOVE, is the fact that there’s a plugin for practically any and all functionalities that you can think of. These plugins are built by different companies and people and they do not always act together. Often they’ll come with an update that may clash with other plugins, or worse, with WordPress itself. 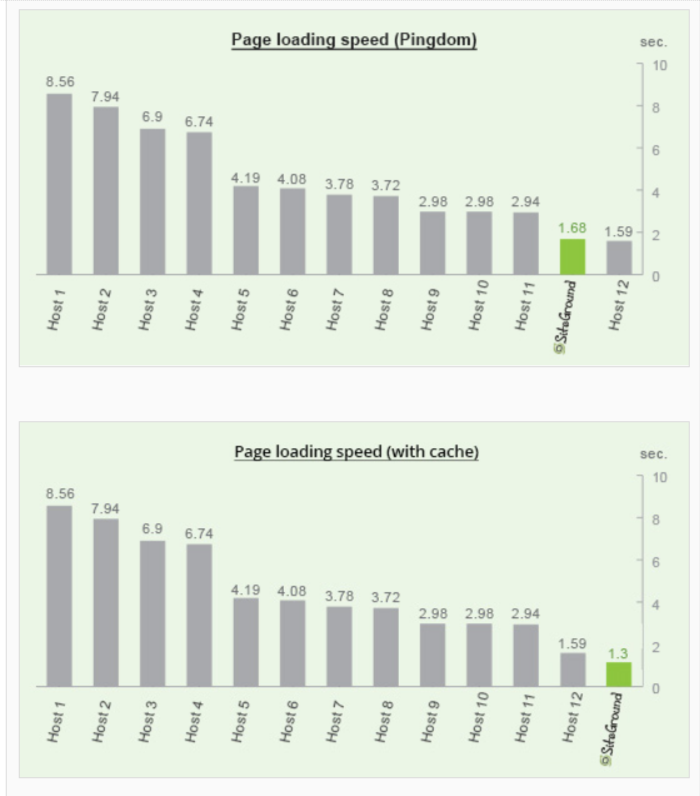 When you test everything on a staged site first, even if a plugin misbehaves, your live site is not affected by it, and you have time to make adjustments as necessary. You can have as many domain emails you want with SiteGround… for FREE! A lot of other hosting companies either make you pay for this service or offer only one domain email for free. But with SiteGround, you can have as many emails as you want. All for free. As I mentioned before, SiteGround’s customer service reps go above and beyond to help their customers as efficiently, as fully, and as fast as possible. They’re also extremely polite and are always ready to help. Something I miss when I speak to customer support reps from other hosting companies. As some of you know, I freelance as a web designer and developer, so I do get to experience other hosting companies quite often (although I’ve been trying to get all of my clients to move to SiteGround these days), and no one, and I mean NO ONE has this amazing support as of yet! It’s all in their attitude. Attitude aside, their customer support is also fast. They have both 24/7 phone and chat support and the wait time is ridiculously low. I’ve had to wait as long as half an hour on chat support with some hosting companies, and more or less similar with phone support. But with SiteGround, both are almost instantaneous. I’m pretty sure the longest I’ve had to wait on their chat support is like 45 seconds! 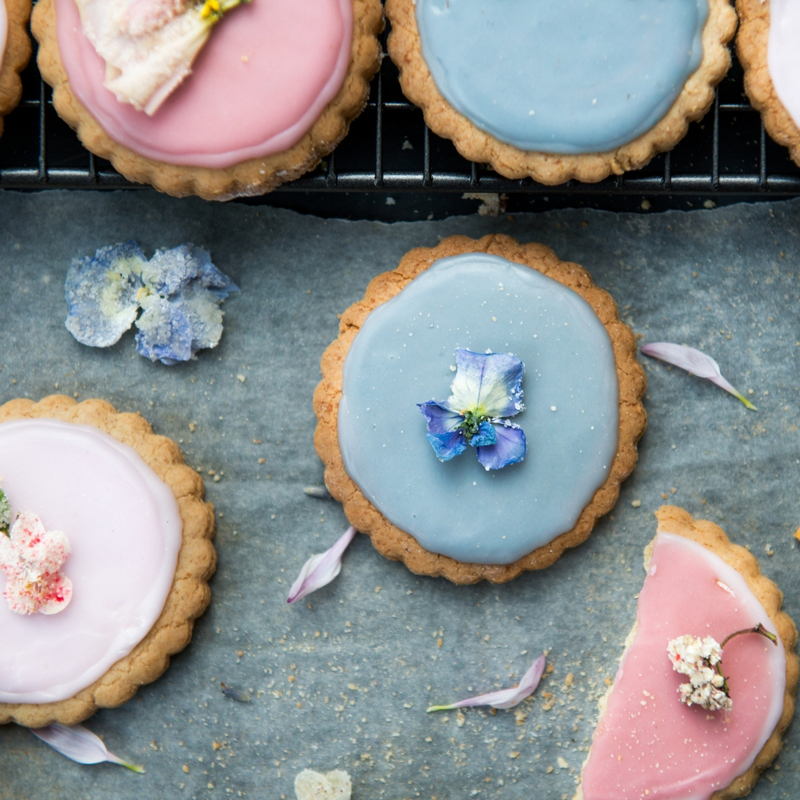 As a serious blogger, you’ll keep growing and growing and you may find yourself in a place where shared hosting is simply not an option anymore. You’ll need a faster and more secure website hosting that can handle heavy traffic, heavier attack attempts. With SiteGround you have the option to grow. SiteGround offers both Cloud and Dedicated hosting options. And because you don’t have to switch hosting companies, it’s much simpler to go from a shared hosting package to a cloud or a dedicated package. With all the awesome features they offer, you’d think they’ll be much more expensive. I mean, it’d be totally understandable if they were more expensive. But no, they’re not! How cool is that! When you sign up with SiteGround as a first time user, you get a ridiculously cheap deal. As cheap as $3.95 per month to start off with their most basic plan, when purchased the annual plan. Their GrowBig plan (which I recommend) starts with $5.95 per month when you sign up with their annual plan. Not everyone participates in affiliate marketing, but SiteGround [affiliate] has a pretty sweet affiliate program. For each person you refer who purchases from SiteGround, you earn a commission. If you haven’t noticed yet, I’ve been sprinkling around my own SiteGround affiliate link all throughout this blog post (and several other blog posts and pages). It’s a great way to generate some sweet passive income! To be honest with you, as much as I love SiteGround [affiliate] and as often as I refer it to my audience and clients, I also feel some resistance because a part of me doesn’t want the whole world to find out how awesome SiteGround is. It’s like a WordPress developers’ best-kept secret. But at the same time, I want my readers and clients to have the best blogging experience! Oh well, all I can do is hope that SiteGround stays as good as it is now. 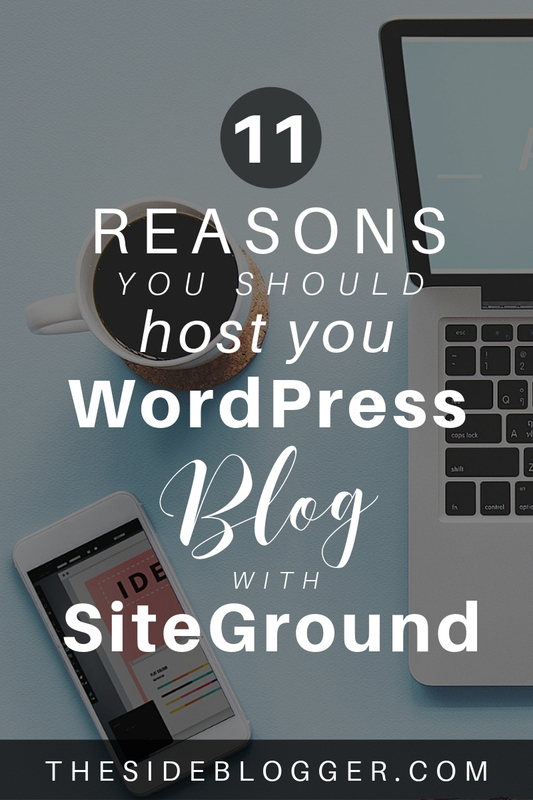 If you’re ready to start your own blogging journey, or are looking to switch to a better hosting provider, I suggest you sign up with SiteGround today!